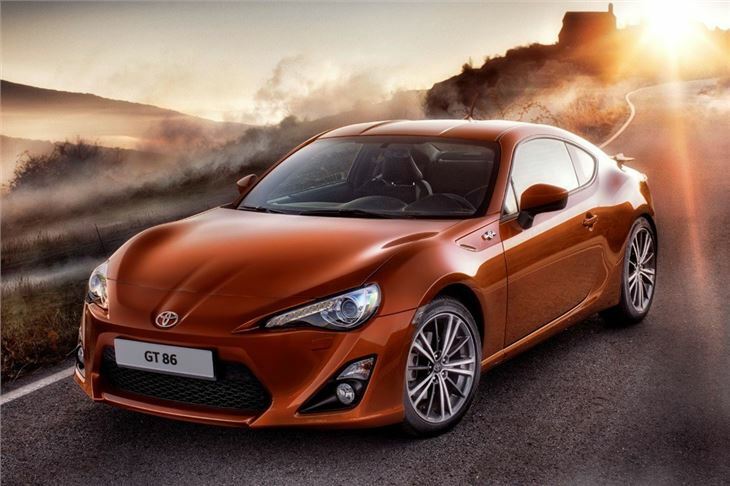 Toyota has unveiled its long awaited sports car - named the GT 86. The compact coupe will be officially revealed at the Tokyo Motor Show this week and goes on sale in the UK in June 2012. It's powered by a four-cylinder boxer engine, co-developed with Subaru, which is mounted at the front but drives the rear wheels, to give 'brisk and engaging' performance according to Toyota. 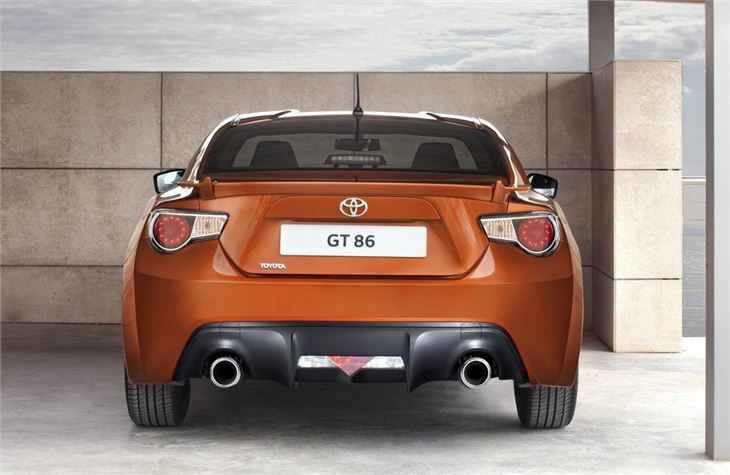 Rather than use an existing chassis, the GT 86 is built on a new platform and has been designed as a driver focussed car with a light kerbweight, free-revving engine and responsive steering. Rather than fitting a large capacity or turbocharged engine, Toyota has gone for naturally aspirated engine. The 2.0-litre develops 197bhp at 7000rpm with maximum torque of 205Nm to 6600rpm. Toyota has added its D-4S injection technology to the Subaru naturally aspirated boxer engine. This system features separate twin injectors, increasing power and torque across a wide range of engine speeds. It's fitted with a six-speed manual gearbox as standard while a six-speed automatic is an option. 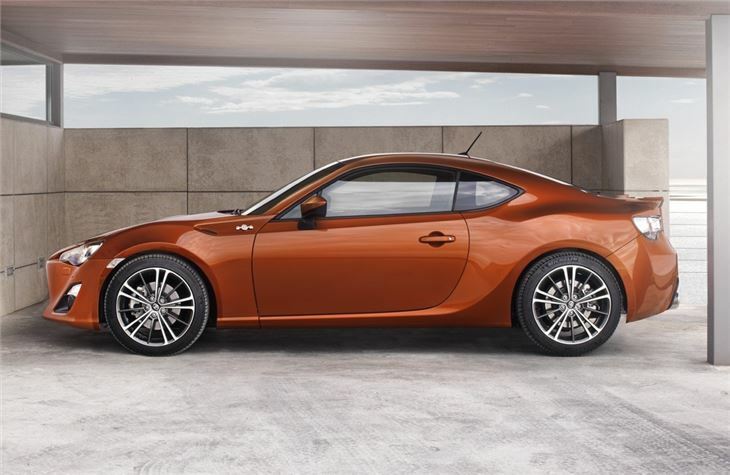 The GT 86 also gets a limited slip differential to give the best possible grip while the stability control system can be set to intervene later during more dynamic driving. 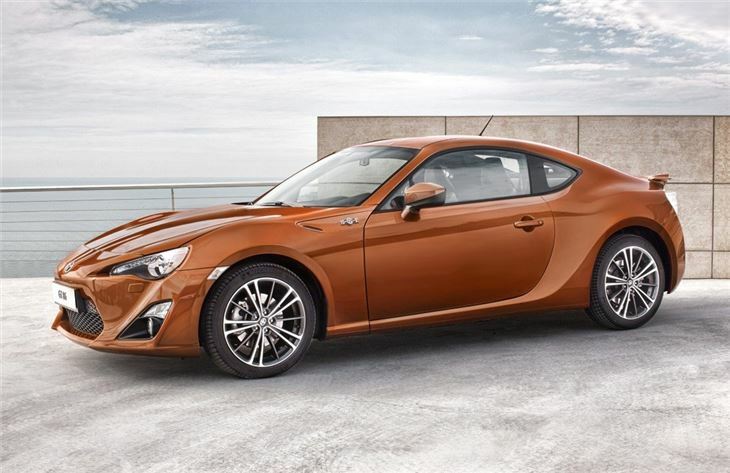 The compact GT 86 is 4.2 metres long and both the engine and driving position have been set as low and as far back as possible to make it well balanced. The suspension features MacPherson struts at the front and double wishbones at the rear while there are 17-inch alloy wheels with ventilated disc brakes. Inside, the GT 86 has been designed to focus toward the driver. The steering wheel is the smallest ever fitted to a Toyota and is trimmed in buckskin, developed after feedback from test drivers on how to achieve the best steering grip. The three instrument dials are set around a large rev-counter, reinforcing the performance feel while other details include carbon-effect trim, black roof lining and red stitching on the upholstery. 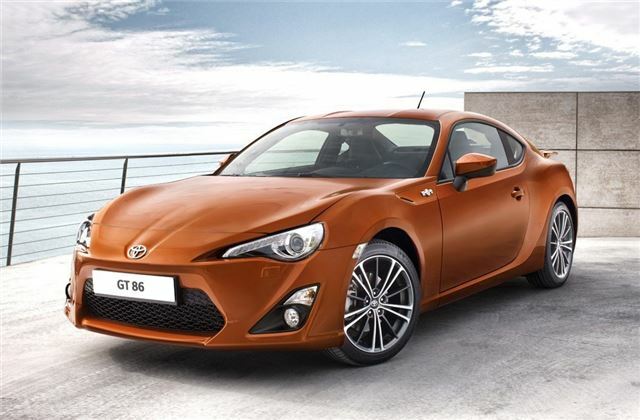 Prices have yet to be announced but the GT 86 is expected to start at around £25,000.